My inlaws have a quince tree with so much fruit, some that the birds had gotten to, some on the ground and some way up high. As we were visiting for lunch, the kidlets love exploring their grandparent's garden, running after skinks and picking vegetables from the greenhouse and garden plot. As I scored 2.5kg of quinces, I needed to do something with them. I have previously poached, baked and made a quince cake but this time, I was going to attempt quince paste. 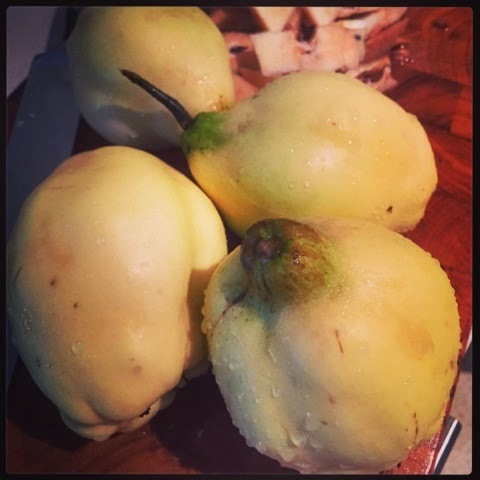 Quinces have a high pectin content, especially from just picked, slightly under ripe fruit that hasn't been refrigerated. I do love quince paste with cheese, especially an aged cheddar and creamy brie. 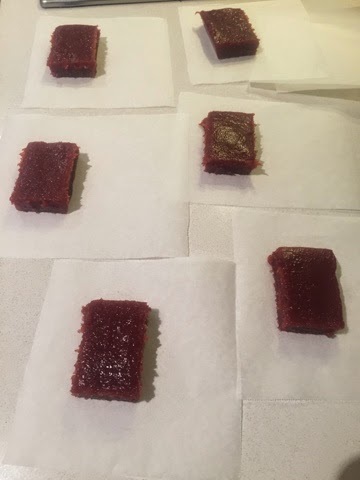 I found that making quince paste is like making jam. I followed Maggie Beer's recipe for my first attempt but as always tweak it slightly. 3. In a large heavy based saucepan, pour enough water over the quinces to cover them. Add the lemon peel. 4. Bring to boil then simmer for 30mins until tender enough to puree. (The house will smell amazing at this stage). 8. Add the lemon juice and cook over low heat, stirring continuously (for up to 4 hours) or until mixture thickens and turns a deep red colour. You need to stir continuously or else the mixture will explode and pop and stirring stops it from burning. 9. Remove the paste to a biscuit tray lined with baking paper and spread to a 12mm thickness (in my case this was the depth of the biscuit tray 39cm x 26cm). 10. When it cools (about 15 minutes), wet your hands and flatten the surface by gliding your hands over the top of paste removing any ridges and uneven surfaces. 12. 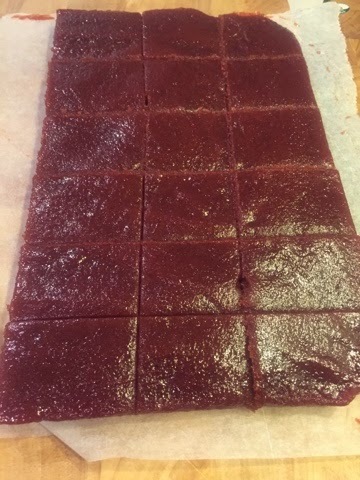 When it has set enough to be cut into squares with a hot knife, it is ready to be cooled and stored. Use a long wooden spoon, you'll need distance as the paste pops, it's hot stuff. I have one from Simon and Johnson that I bought for hubby for our 5th wedding anniversary. Cut the quinces in half and quarter and core like you would as an apple. 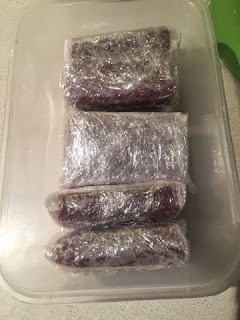 Pack the quince paste between layers of baking paper and wrap in cling wrap as it's quite sticky. 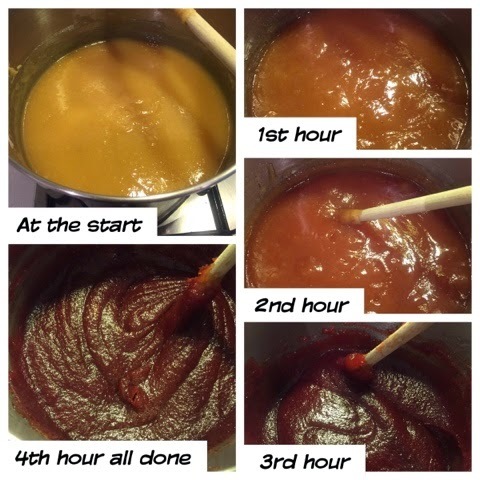 Store quince paste in an airtight container for up to 1 year.